Our favorite ballerina is at it again. The always inspiring Mary Helen Bowers, founder of Ballet Beautiful and trainer to so many super-mom actresses and models (see here and here), just released a new ballet-inspired workout specifically for pregnancy. And it is so good. Mary Helen created Ballet Baby with her own pregnancy fitness in mind—the workouts are designed to be energizing, toning, elongating, and, of course, fun. With two different series to choose from—’Energized & Elegant’ and ‘Fit & Graceful’—and each with a gentle level and a more challenging one, it’s easy to tailor a workout suited to the different stages of your pregnancy. 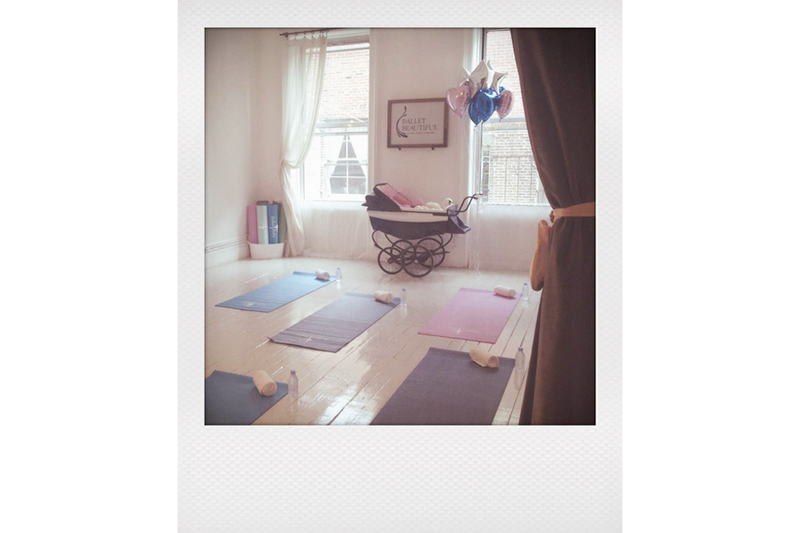 And if you’re concerned a pregnancy workout will be too easy, we can assure you that’s not the case! Mary Helen gave us a preview of Ballet Baby, focusing on gentle stretching, toning, and low impact cardio, and afterwards we were a little sweaty, more energized, and definitely a bit sore. So whether you’re in Ballet Beautiful’s Soho studio, streaming a class online, or using one of the Ballet Baby DVDs, Mary Helen has made it a dream to stay healthy, active, energized, and graceful during your pregnancy.